For International Doodledog Day, on 4th May 2019, there will be a London Doodle Meet-up in Hyde Park to celebrate all things doodle. International Doodle Dog Day – is a day celebrating poodle-mix breeds around the world in over 40 major cities. Started in USA 3 years ago by Ripley & Rue it is now an established day to celebrate the amazing Doodles in our lives. It truly is a Day for the Doods and in the UK we are holding 2 official events – with more meets planned. There is a London meet on 4 May and a Rye- Camber meet on 5 May. Merchandise is available for purchase prior to the event to celebrate our doodles -proceeds of which will go to DoodleAid. 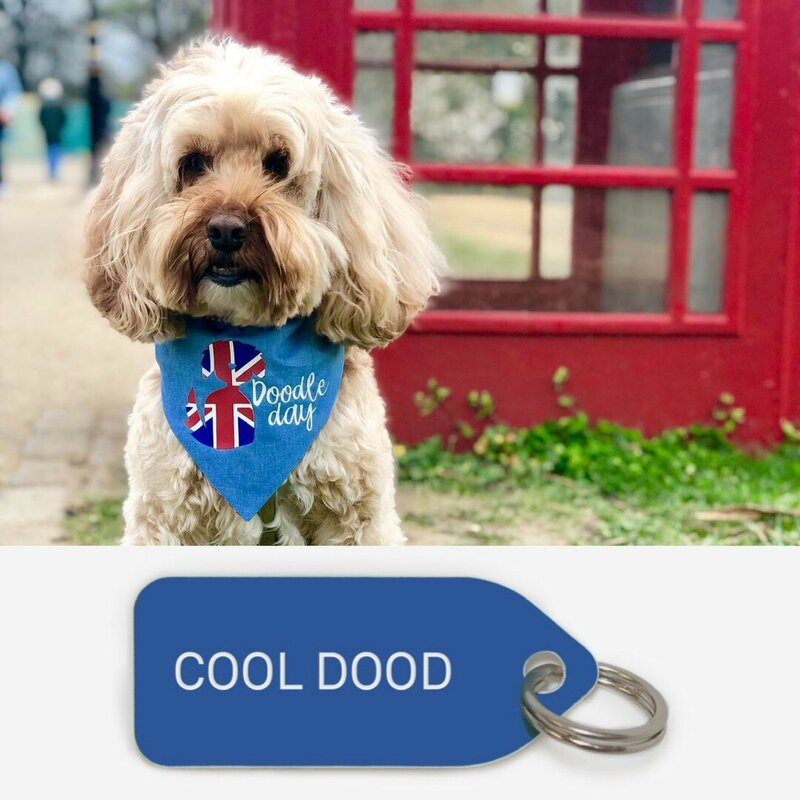 A custom made bandana can be purchased from Cosy Chic Pet Boutique and an awesome COOL DOOD dog tag has been made for us available from Growlees. Come and celebrate a Day for your Doods – and be prepared for lots of doodle dashing.